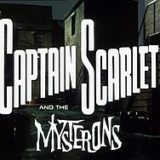 Captain Scarlet or Captain Scarlet and the Mysterons was created by Gerry and Sylvia Anderson. The show is set in the year 2068 and depicts the hostilities between the Earth and a race of Martians called The Mysterons. The hostilities began when Earth attacked their city on Mars due to a misunderstanding. 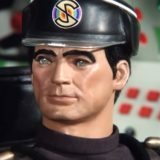 The vengeful Mysterons declare war on Earth and this is countered by Spectrum and their primary agent Captain Scarlet who has acquired the Mysterons abilities of retro-metabolism, making him virtually indestructible. The Mysterons – Due to a misunderstanding on the planet Mars, a war is started between humans and an alien race called The Mysterons. 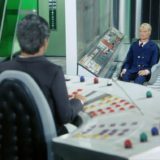 The Mysterons first act of revenge is to try to assassinate The World President. The Inquisition – Captain Blue disappears from a restaurant. When he wakes, he finds that he has lost 3 months and Spectrum Security want to know where he has been and if he is even the real Captain Blue.